When you see the 2018 Range Rover Velar for the first time, it's impossible not to be impressed by its sporty and elegant silhouette. The Range Rover Velar is one of the few SUVs that can turn heads on the road, because it really attracts a lot of attention. 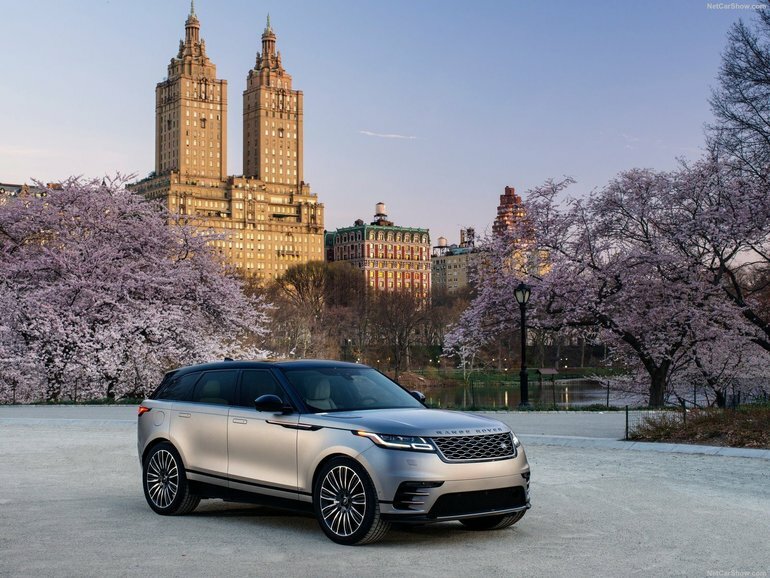 If you enjoy the spotlight, the 2018 Range Rover Velar is for you. Having said that, it would be wrong to assume that the Velar only offers impressive style. Behind the wheel and in its highly luxurious cabin, the Velar offers driving and handling characteristics that you’ll quickly fall in love with. When you drive a Velar, you’ll feel like the road belongs to you and that you can go wherever you want. The 2018 Range Rover Velar has been designed to perform beautifully in the city as well as on the highway, but it can also tackle demanding off-road trails. Ultimately, there’s nothing the Velar can’t do. Two engines are offered in the 2018 Range Rover Velar. The first is a 2.0-litre turbo four-cylinder that features 180 horsepower and 317 lb-ft of torque. This engine stands out because it’s powerful while also being fuel-efficient, with an average consumption of less than 10.0 litres per 100 kilometres. For more power (a lot more power, in fact), the Range Rover Velar offers its owners a 3.0-litre six-cylinder engine developing 380 horsepower and 332 lb-ft of torque. Needless to say, with this engine, you'll never be afraid to accelerate with your Velar, and you will be impressed at how quickly the luxury SUV reacts when you floor the right pedal. Inside, the Velar offers a unique and exclusive dashboard for the Range Rover lineup and a great deal of luxury and refinement. Book a test drive of the new Velar today.